Hey I would like to wish all of you Happy 59th Independence Day and also to my beloved country Malaysia. Selamat Hari Merdeka and Selamat Hari Kebangsaan Ke-59. Home is where the heart is… I love my country, culture, nature, food and all my friends and family here. There is no place like home. I am proud to be Malaysian and we will strive to be better. According to the locals banti means water and murung means roaring, when combined it's roaring water. Another meaning of Bantimurung which is banting murung or smashing one's sadness. So when you are at Bantimurung National Park you can release your sadness or depression through this refreshing nature. Bantimurung Bulusaraung National Park with a waterfall with 2 caves at the national park, the dream cave (Gua Mimpi) and stone cave (Gua Batu) located in South Sulawesi in Indonesia. Do you know that Bantimurung is also The Kingdom of Butterflies. All Suit Up for convention, meeting, focus group brain storming and then after work drinks. Well these kind of days don’t happen that often but when it does, I have to make sure that I am all prepared inside out and make an impact. It’s time to get those budgets, proposals and etc approve. Kind of stressful day but over the years I get used to it, part and parcel of corporate life. I just discovered a new cushion that has 80% skincare and 20% makeup yet skin gives matte finishing, the adequate coverage and sufficient protections that we need. The first time I tried Dior Capture Totale DreamSkin Perfect Skin Cushion SPF50 PA+++ was during their makeover session at Dior Boutique at Sunway Pyramid recently. Monki’s new denim collaboration is here… drum roll please. 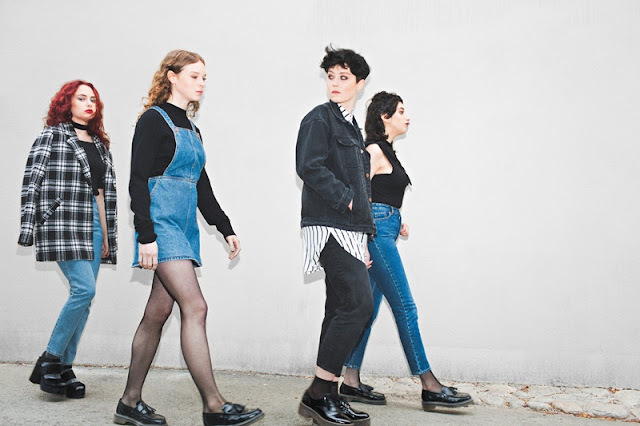 Here is Monki upcoming autumn 2016 denim collection collaboration with Swedish rock band, Dolores Haze. Inspired by a mix of 80/90s, rock and punk, this denim collection is Monki’s first to use 100% organic cotton. Heyo! As you know we love to shop online, how about you? Nowadays we shop online for almost everything not only for fashion, beauty or lifestyle products but also our groceries, food and even pay our utilities bills online. We can do it anytime, anywhere; it helps us to save time, hassle free and convenient. Recently we found out that online shopping just got easier with Visa Checkout. Plus we have more good news to share! We managed to grab a SweetSpot deal, guess what… we only pay RM1 for Kenny Roger ROASTERS Quarter Chicken. You too can get it and there are many more awesome deals too. One of the most important parts of human life is something we spend roughly a third of our lives doing is sleeping. Sleep replenishes our brain chemicals, rests our muscles and processes our memories from the day, choosing what goes into long-term memory and what gets deleted. Unfortunately, many people have trouble sleeping at night, and this has lasting effects that carry over into the following day and, if the problem is persistent, can have long-term negative effects. I’ve heard about Peter Thomas Roth 24K Pure Luxury Skincare Series for anti-aging and firming so I decided to give it a try few recently. There are few products in this series that work well on my skin. Peter Thomas Roth 24K Gold Mask Pure Luxury Lift & Firm Mask and 24K Gold Pure Luxury Lift & Firm Hydra-Gel Eye Patches are great for anti-aging and moisturizing. Hey! Could you tell me how often you dine out or grab food on the go? Let’s face the fact, for working urbanites like us with busy and demanding lifestyle we hardly have time to cook at home. Eating out and grabbing food while we are on the move are inevitable. Therefore out of home dining is a growing trend not just in Malaysia but the whole world. We were here for Fonterra launches its all new Anchor Food Professional in Malaysia. As the summer is slowly drawing to a close and the season of snow, wind and rain will surely take over. 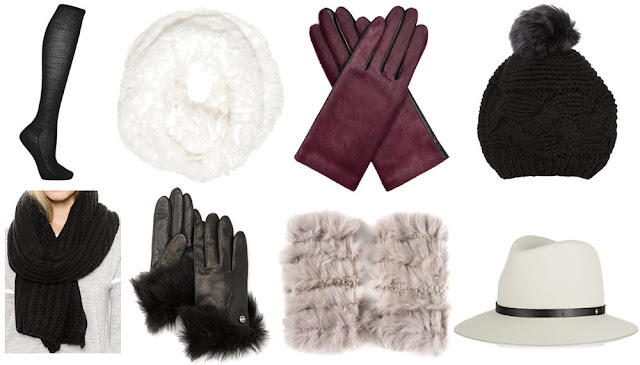 That being said have you considered looking into what wardrobe and jewellery you’ll be wearing come the winter? Winter and summer wardrobe are completely different, with summer moving to a dainty and vibrant style, whereas winter will require bulkier, moving towards more neutral colours. It’s time to refresh your wardrobe and we’ve come up with 5 pieces to help you through the transition. How many of you are planning for your summer holiday or you already confirmed your holiday? If you are heading off to the beach for this summer holiday you might want to check out my Summer Beach Holiday Essentials from THE FACE SHOP and what is so cool about this special Natural sun eco Ice Air Puff sun protection. As a blogger what are the gadgets that we must have when we travel? Well for me I must have my smartphone, camera, powerbank and laptop when I travel. Mobile devices have become part of our life but ensuring that these mobile devices are constantly up and running can be quite a challenge. Traveling Companion has taken on a whole new meaning for frequent travelers like us. 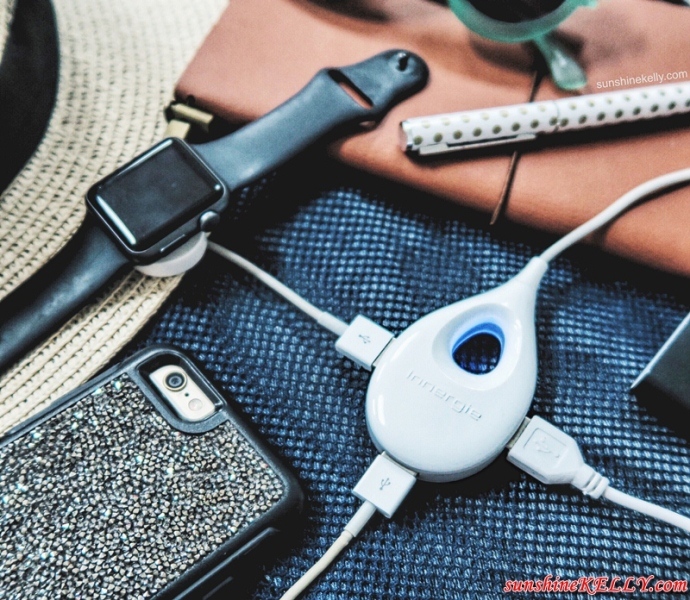 Recently I discovered Innergie LifeHub Plus that enables speedy charging for multiple devices at once. Recently an ecological solutions company, Pollywood Sdn Bhd launched their theme song “There You Are” by Jessie Chung. The launch and signing ceremony was hosted by Pollywood for the licensing rights of Jessie Chung’s first English EP ‘There You Are’ at Top Glove Tower in Setia Alam. That evening Jessie performed a few songs to wow the guests and lots of her fans. Finally I got the time to blog about my recent Trip of Wonders. Let’s begin the journey, the first day was basically the welcome dinner, program presentation and meeting all the South East Asia bloggers and influencers for this trip at Talaga Sampireun Ancol and Swiss-Bel Hotel in Jakarta. Hey! Are you craving for Latin America cuisines? If yes, you are in for an indulgence in a scrumptious and variety of authentic Latin American Cuisines at Latino Fiesta @ TEMPTationS, Renaissance Kuala Lumpur Hotel; especially prepared by Spanish Guatemalan Chef Pablo Crespo. Savour the Brazillian Grilled Fish, Baleadas catrachas from Honduras, Chilean Empanadas, Argentinian Churrasco with chimichurri sauce, Columbian Posta cartagenera, Salvadorean Pupusas and Mexican Brownies with chilli and many more. Imagine a veil of softness & sheer matte on your lips… here is the latest Bourjois Rouge Edition Souffle de Velvet that never compromises between colour, comfort and easy to wear. Check out the latest 8 blushing lipcolor and let me know what “Souffle” of colour will you choose? When you need to treat skin problems, Micro-needling is one possible solution. It's a process that can help you to treat a variety of skin issues but it is mostly used to treat old acne scars. Over the time, this treatment can help to restore skin smoothness and there are different forms of it. 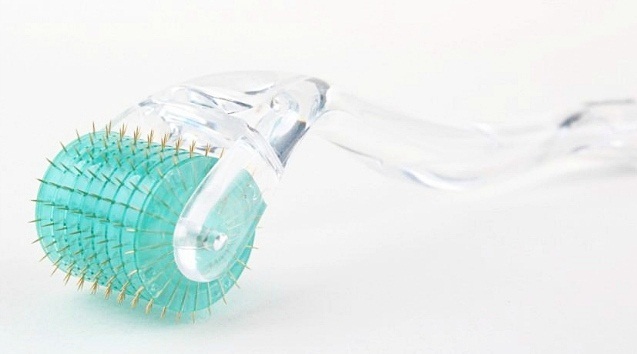 One of the most common is called Dermaroller, it works because it convinces our body to generate more collagen naturally. That's why it can sometimes also be known as collagen induction therapy. But why collagen is so important? What are the important factors when you choose your glass frame? It is comfort, trend, style or complements your face shape? Well we want to find out too. 999.9 or Four Nines refers to the quality identification of pure gold, which always strive towards perfection to reach to 1,000. For 20 years, Four Nines have been developing original structure to create the best pair of glasses with the best comfort and all made in Japan. Heyo! Still remember we post about NBOS Run & Ride 2016 registration in June. So here is the race day on last Sunday 14th August 2016 at PICC, Presint 5, Putrajaya. About 4500 runners runners for 11km and 5km and 700 cyclists for the 16km. The weather and turn-out was good too on sunday early morning. Hey! Have you tried the new Japanese skincare in town that called THREE? This is an holistic skincare that refreshes the soul and makeup for a more positive you. 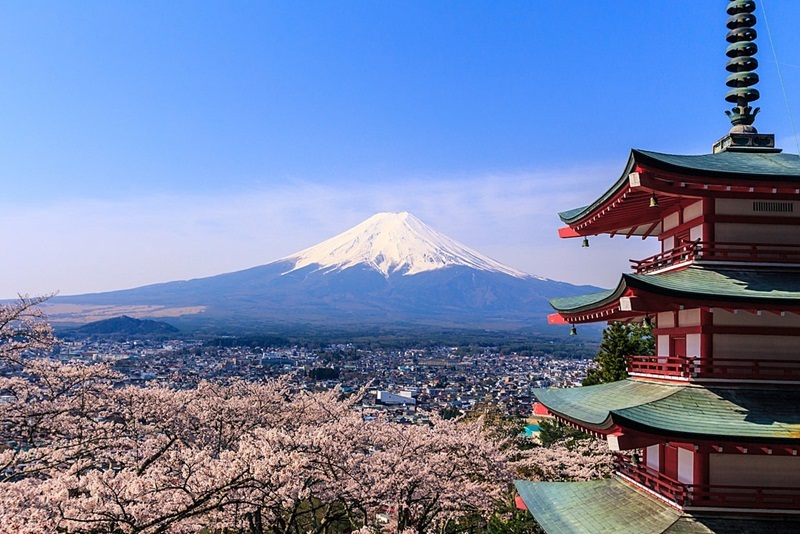 THREE Cosmetics from Japan focus on achieving balance of the mind, body and skin. The products ingredients are mainly from plant-based and essential oils, even their makeup. Ah… the hot and hazy weather like this make me craved for more smoothies and juices. What is your favourite smoothie flavour? I am not that particular when it comes to fruits or vegetables juices because I love most of them. 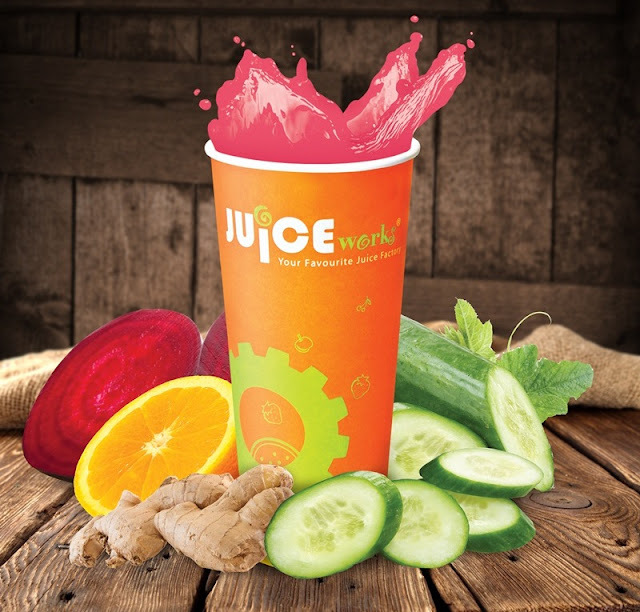 Recently Juice Works Malaysia introduced its colourful new menu that is chockfull of tempting treats with fabulous flavours. When it doubt… Upbeat it! Always keep the good vibes coming. So are you ready to set yourself free and be you? Let’s celebrate life with the latest Mary Kay Upbeat™ for Her Eau de Toilette which is so festive-inspired and flirtatious, being confident with ourselves enjoying the moments of life. That’s the feeling we want to instill. A much needed hair treatment to replenish the moisture and shine back to my hair after my recent trip. So I went to Winson Kow Hairstistic salon few days ago to get my hair fixed. I did the 4 Steps K-Pak hair repair treatment, trimmed the dry ends and decided to do the Korean Gel Perm for a change. Do you know that our body lose and produce less collagen as we age. That is why we have sagging skins, wrinkles, uneven contour and many more. Not only that, if you look closer at the mirror we also faced facial volume loss, such as sunken eyes, thinning lips, sagging cheeks and etc. As the fatty tissues beneath our skin deteriorate and become depleted. This is my first experience trying out the PLLA Collagen Stimulator Treatment. Let’s see how does it work? Anyone into team scavenger hunt? I love it because it’s fun and team work. Few weeks ago I participated in Main Place Mall Scavenger Hunt together with a few bloggers. Do you want to know how we did it?